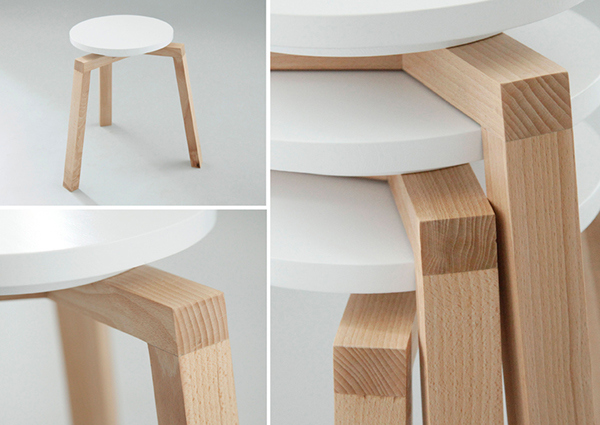 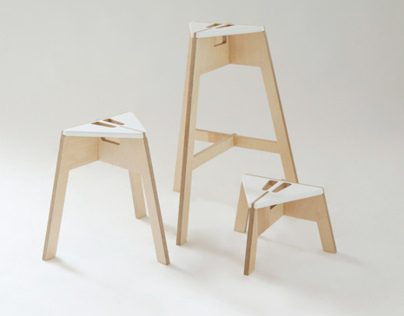 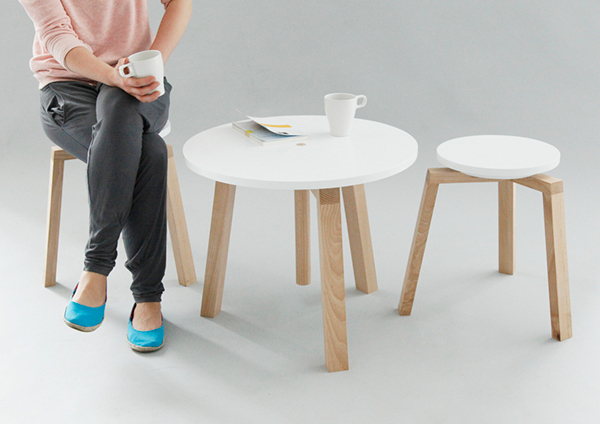 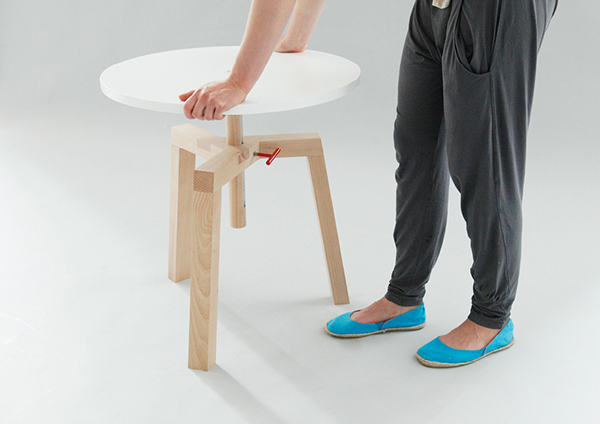 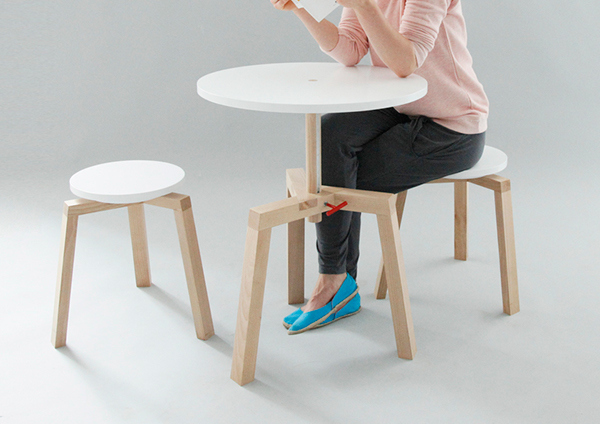 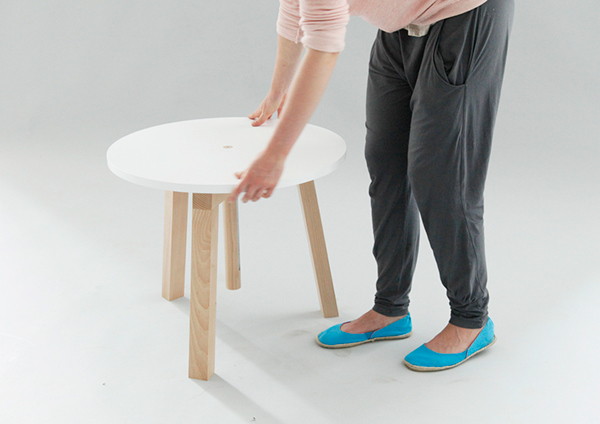 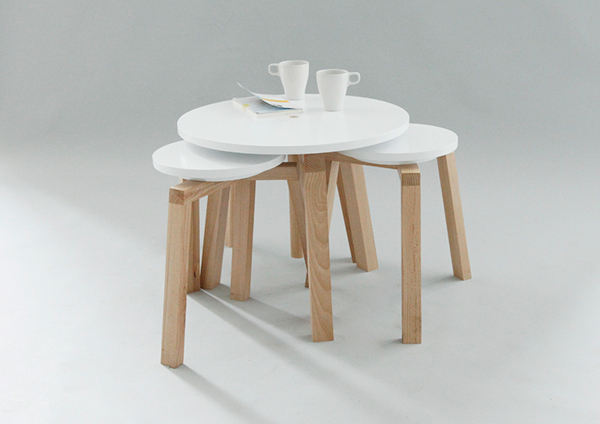 Table and stools — a furniture series designed for confined living spaces. 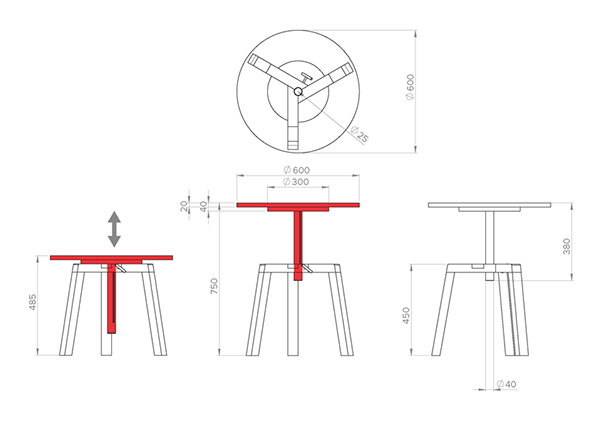 The table’s height can be adjusted, the extreme heights serving as a dining table at 75 cm (29.5") and as a coffee table at 48 cm (18.9"). 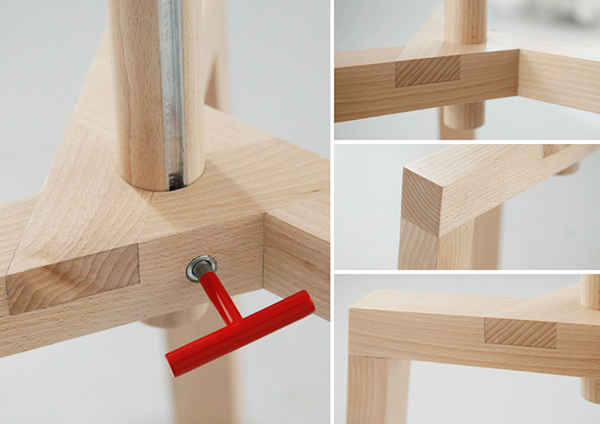 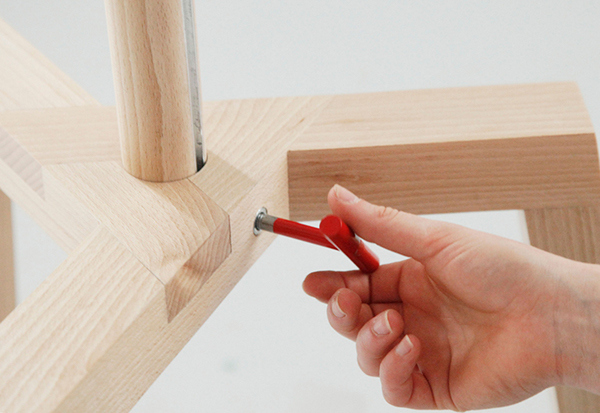 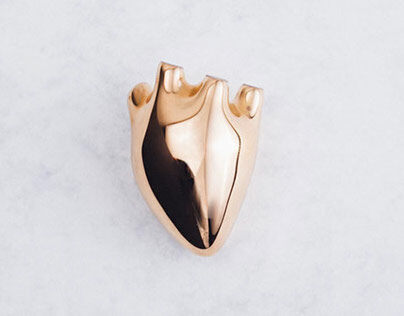 The custom-designed butterfly screw secures the desired height. 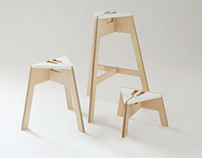 The stools can be stacked.